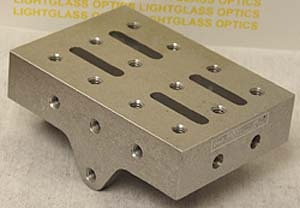 The Newport 34 Rotatable Platform can be located at any position around a 360 degree axis on a Newport Rod Clamp, such as the 340, 345, 370 and 375. It is machined, drilled and tapped on 4 sides to mount components on. Natural aluminum finish.